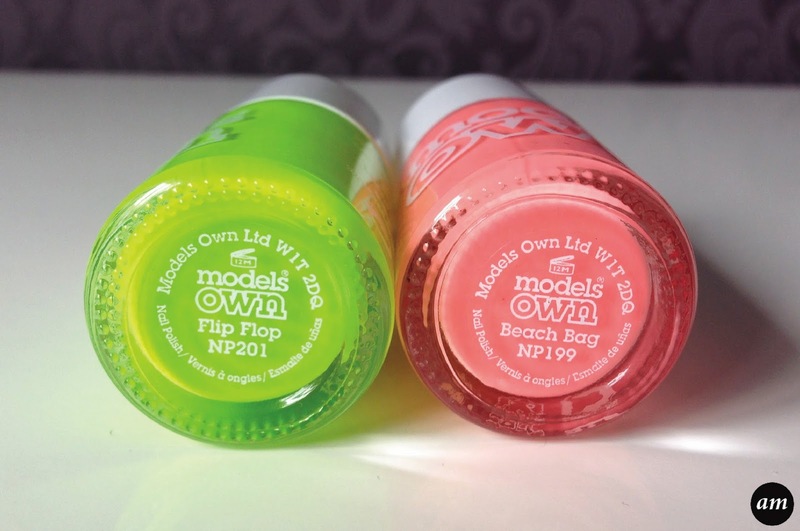 Seen as Summer is finally here, I thought I would do one big post on the latest collections of Models Own nail polishes, that I picked up last week. 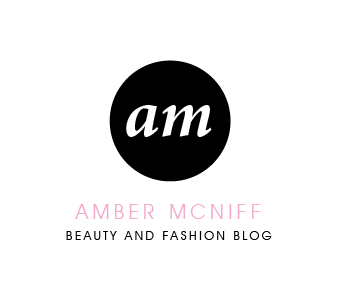 These nail polishes are the perfect colours for summer, so I'm going to talk you through what I think of each one. 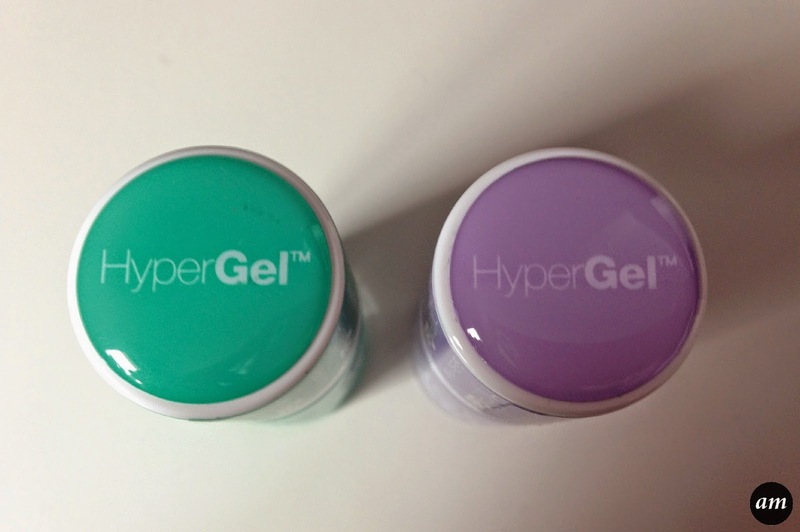 Models Own Claims that the new HyperGel range is "highly pigmented" and gives a "gel like finish". 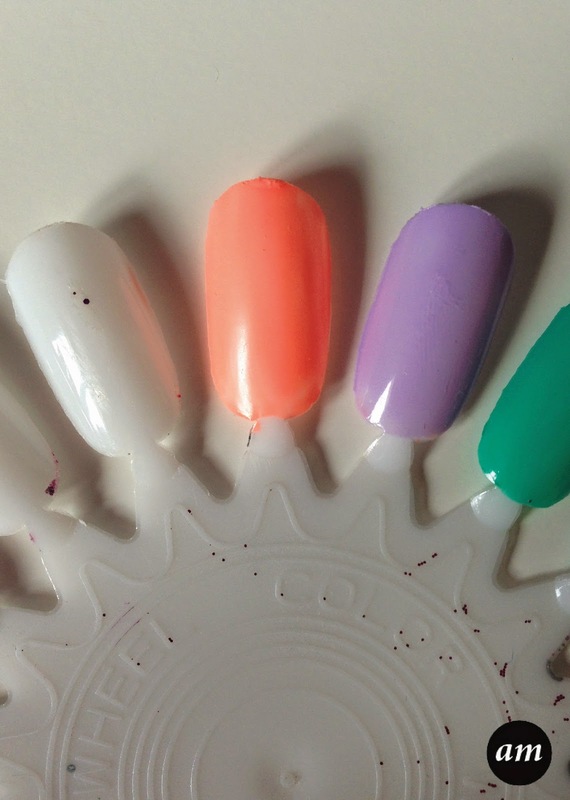 I am always using Shellac on my nails, so I was eager to see whether these nails polishes are just as good, even though they don't need a UV light to set them. 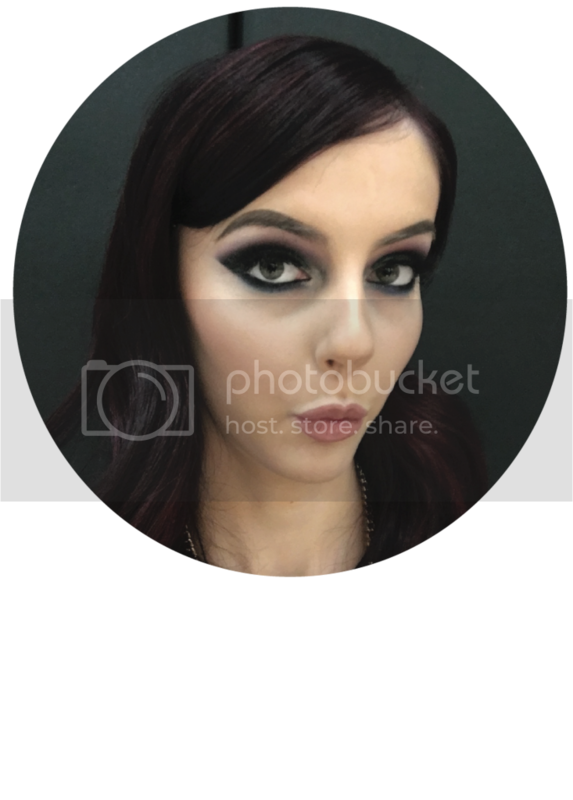 I bought the shades "Turquoise Gloss" and "Lilac Sheen". 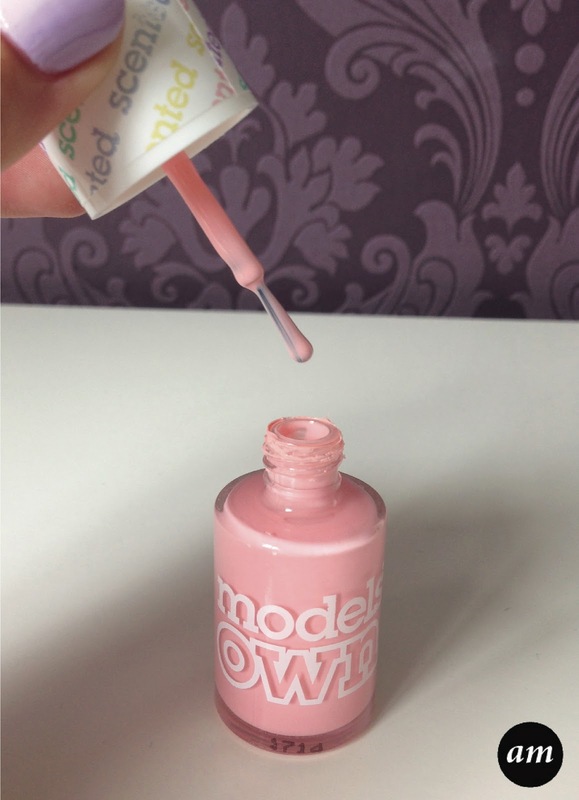 When I applied the nail polish, it went on easily, however you have to make sure you wipe the tube, that holds the brush, onto the side of the bottle as you tend to get drops of nail polish dripping down. Once the nail polish had dried, I didn't notice any difference between the HyperGel polish and an ordinary Models Own Polish, so I was a bit disappointed as it's supposed to have a gel like finish. 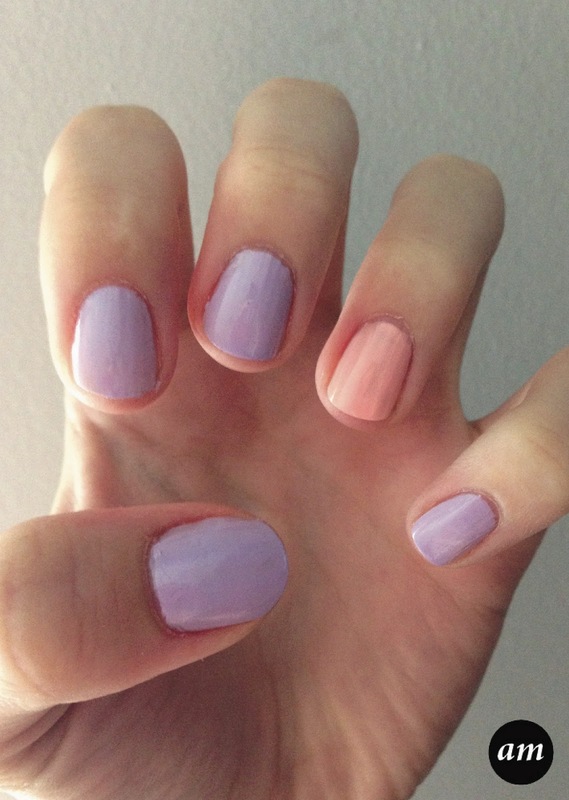 One of the bonuses with having proper gel on your nails is that it doesn't chip and lasts longer than nail polish. 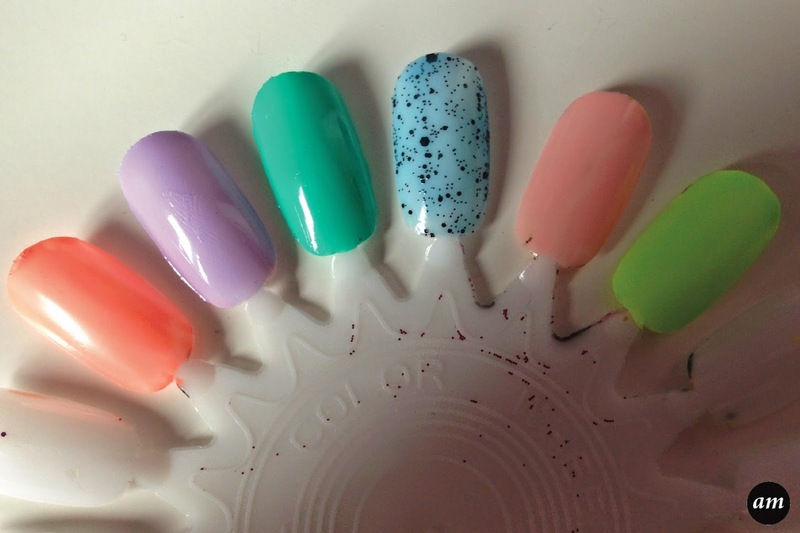 Because this collection was called HyperGel, I thought it wouldn't chip as easily. The polish lasted three days on my nails, which was the same amount of time as the ordinary Models Own nail polish I had painted on one finger. Although the HyperGel has not impressed me in regards to it being a gel polish, It does come off really easily and the collection has some lovely colours in it. I would still recommend this product as the colours are nice and it is a good nail polish, just not a good gel nail polish. 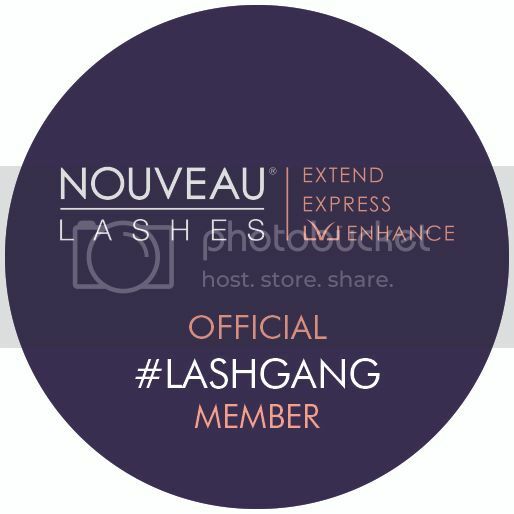 You can purchase it for £5 from Boots or any other drugstore. 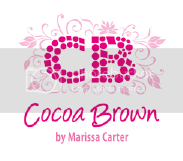 This collection of nail polishes include shades that bring out your tan and make your skin look darker. I haven't got dark/tanned skin, so I based my review on this product after having my sister wear it as she has lovely olive skin. 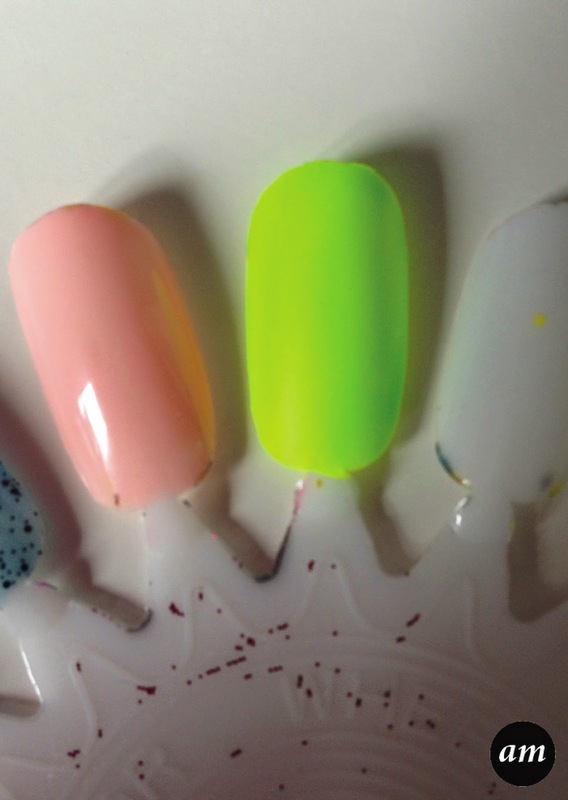 The shades I bought from this collection are "Flip Flop" and "Beach Bag". 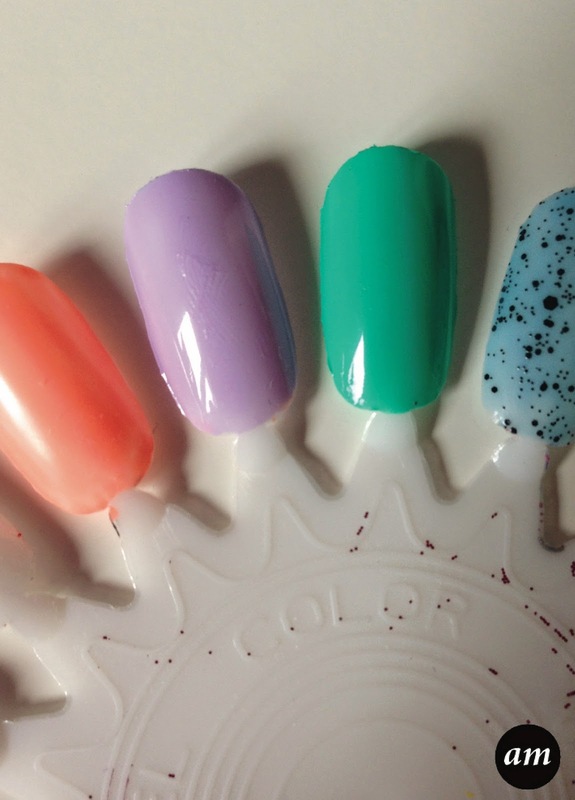 Just like the collection above, these nail polishes were easy to apply and remove. Once the polish had dried it really did make my sisters skin look darker. The colours were really bright and stood out. 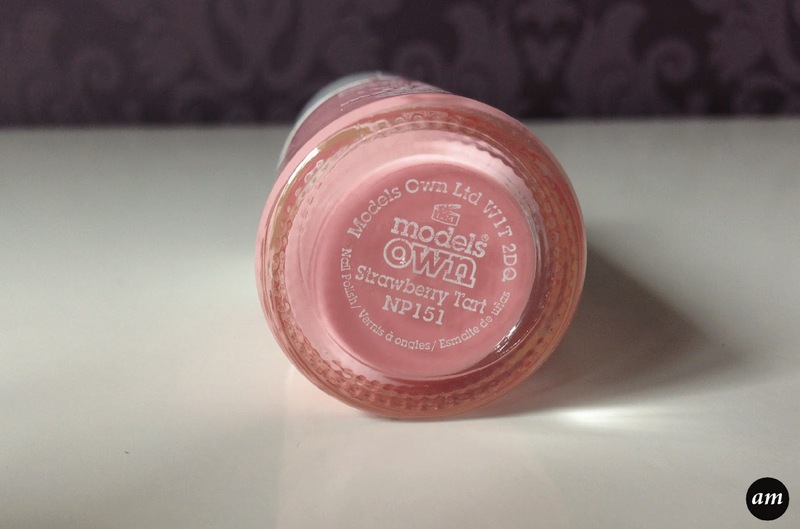 My favourite shade has to be "Beach Bag" as its a lovely orangey coral colour. The polish lasted three days with slight chipping. 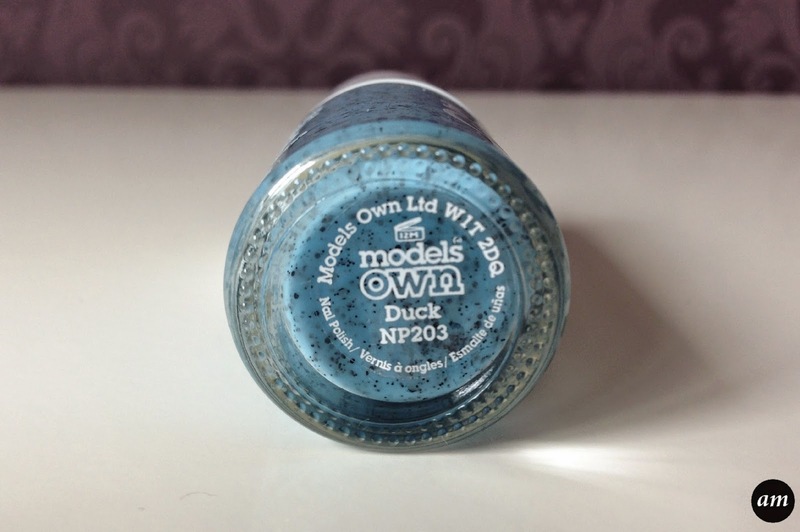 I would recommend buying some shades from this collection as they would be perfect if you're going on a summer holiday and unlike the last collection, the polish does exactly what it says on the tin! You can purchase them from Boots for £5. 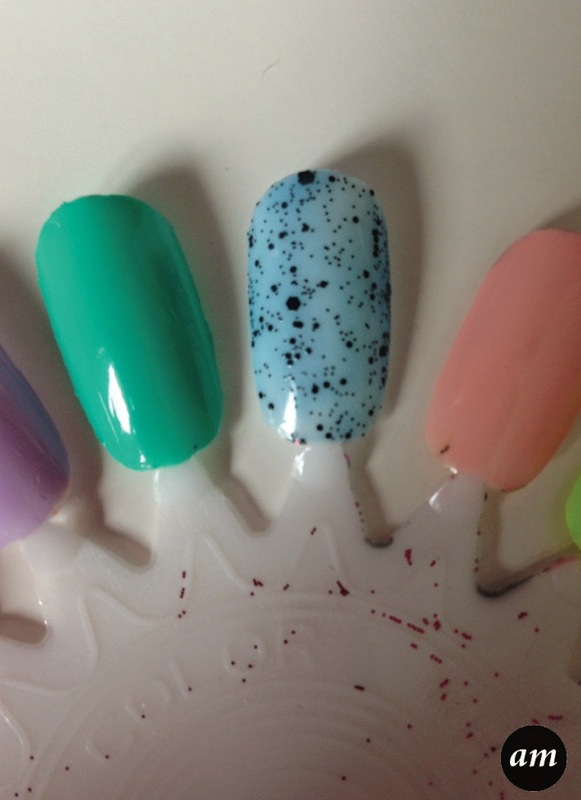 Last year I reviewed the Illamasqua Speckled Nail Polish that they brought out for easter, and I didn't like it. When I saw that Models Own did a polish that's the same as Illamsqua's, I wanted to try it out to see if it was any better. 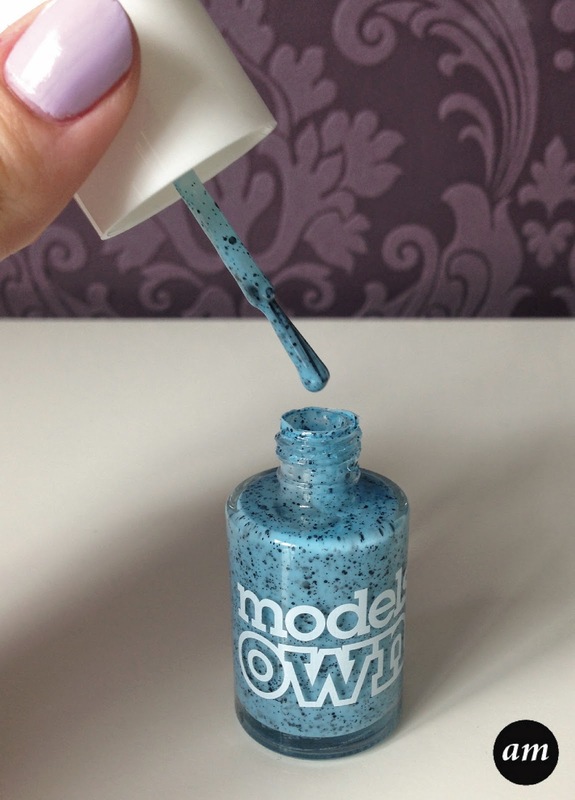 Unfortunately, I experienced most of the problems I had with the Illamasqua version, expect that the speckles in the Models Own one are easier to spread evenly around your nails. This nail polish chipped easily and it lasted around a day and a half, which isn't good compared to other Models Own polishes. Like the Illamasqua version, when you come to take the polish off, the colour comes off fine. However the speckled bits in the polish stay on your finger for ages and in the end you have to buff or file them off, as nail polish remover doesn't remove them. I would not recommend this polish, even though it looks nice on , just because it's a pain to get back off again. However if you have lots of patience, you can purchase it from Boots for £5. The Fruit Pastel range consist of seven colours that are all supposed to smell like their names. Each bottle has a "Scratch n' Sniff" sticker on the top of it so you know what it will smell like, which I think is quite nice. 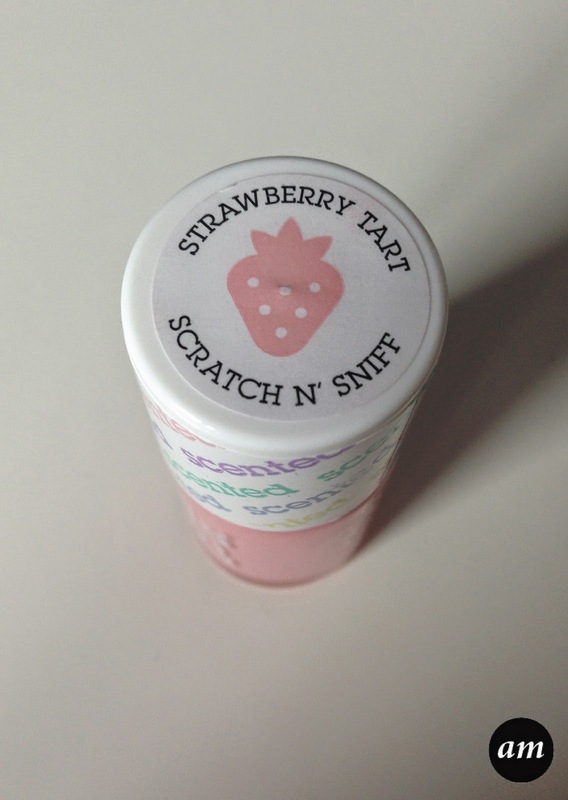 I picked up the colour "Strawberry Tart", which smelt of strawberries. This was another polish that I was excited to try as normally nail polish smells horrible while applying it and then it doesn't smell at all once it's dried, so i was excited to have strawberry smelling nails. While I was applying the polish, I didn't get any smell of strawberries, just the normal nail polish smell. Once my nails had dried I began to sniff them again, but unfortunately there was no strawberry smell in sight. 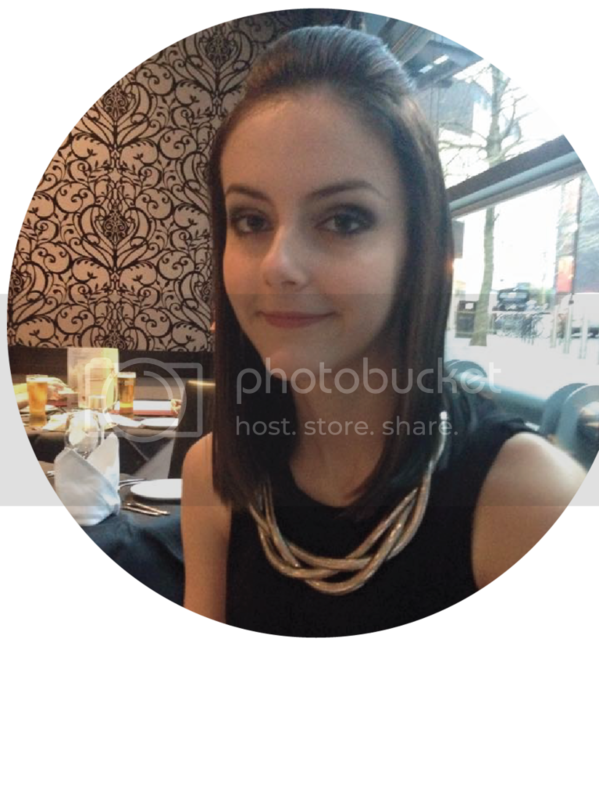 I was a little disappointed. 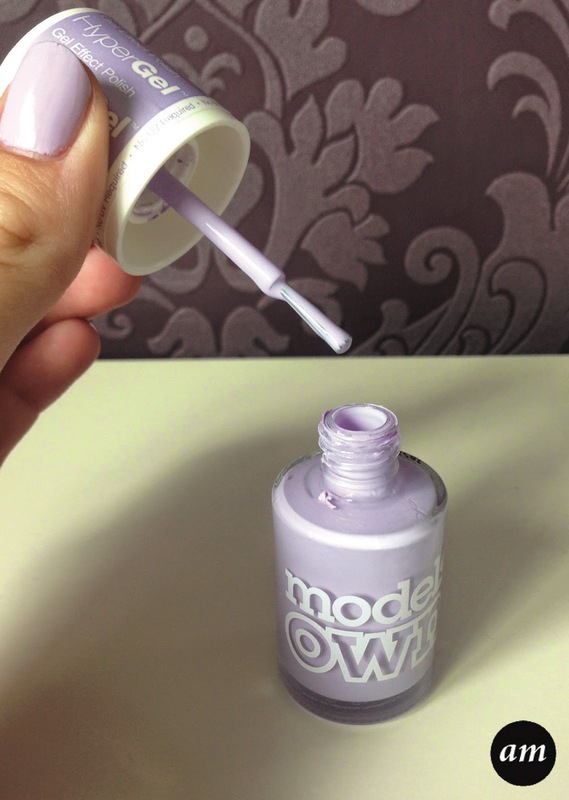 Despite the scented nail polish actually having a scent, this shade is a lovely colour to add to your collection. It's a nice pastel pink colour, which will go well with most other colours if you wanted to mix and match. This polish goes on easy and comes off easier. It can be purchased from Boots for £5. So there you go, my opinions on the latest Models Own Collections. 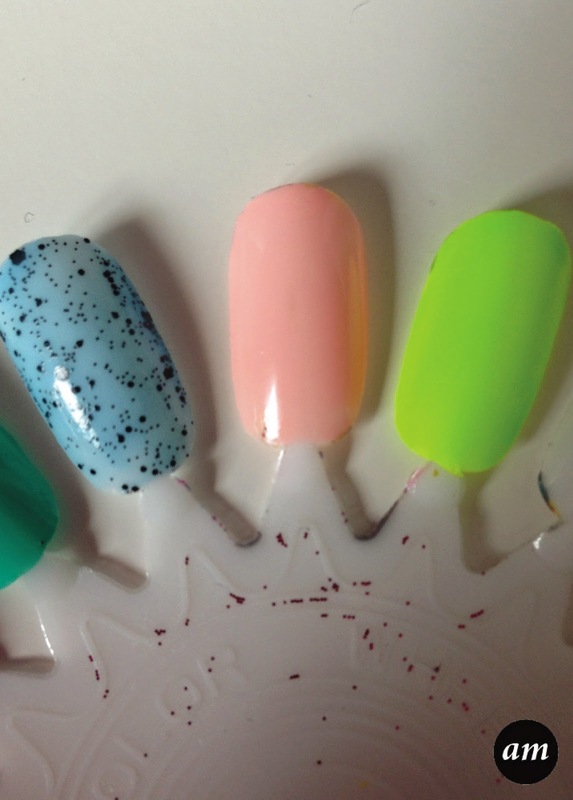 Have you tried any of their new polishes?